In exchange for my time and efforts in attending shows and reporting my opinion within this blog, as well as keeping you advised of the latest discount offers, Big Apple Circus has provided me with complimentary tickets to their show along with the opportunity for my giveaway of two opening night tickets. Even though I receive these benefits, I always give an opinion that is 100% mine. The amazement as we began walking toward the large tent, wonders of what would happen. Magic? Clowns? Would there be elephants like all the “circus” movies or shows we’ve seen? Our excitement has built for many days now; due to the fact myself and Geraldo along with our daughters have never been to the circus. We searched the web from their website http://www.bigapplecircus.org to the famous Youtube of course. Every word and video kept us on the edge of our seats you could say. 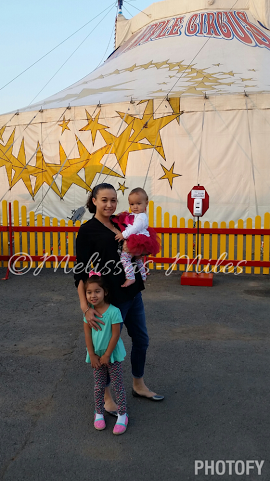 So it beings here… I had to have the girls take a photo outside the large tent before sitting down. How many times in your life can you say you went to the circus? Well you can if you join the Big Apple Circus membership. (Found on their page http://www.bigapplecircus.org/join-and-give where you also can find contact phone numbers for more information.) After having an usher directing us to our seats we became amazed at the “small” yet spacious soundings. Count down starts… What is to come?! First the comical clown, oh how I loved how he began the show. Catching our attention, interacting with the guests he had us laughing like hyenas. Next was seeing who was in the show, introducing of the cast members with a beginning show entrance. 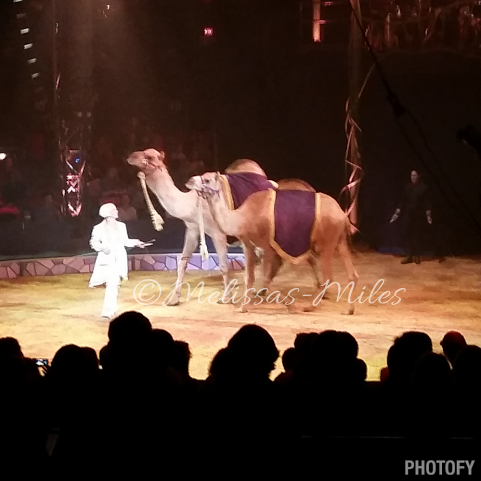 From each moment we were enchanted into this circus with animals and circus members keeping our every attention. Elleanna was entranced and unable to keep her eyes off the performers for a moment; when intermission came she was not a happy camper waiting. 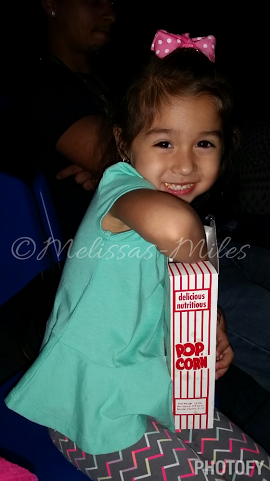 So Isabella, Gerlado, Elleanna and I stepped outside for some popcorn, light up toys and shirts. We’re always looking for a keepsake as a memory piece for our adventures. Rushing back to our seats hoping not to miss a thing, we realize how late it has been getting. A two hour show for The Big Apple Circus at 7pm is not very suitable for my girls with bed time of 8 which was when we had intermission (8:04pm to be exact). Their attitudes began to change from being excited and entertained to overwhelmed with sleep and fidgety. The second half of the show became very hard for mommy to keep the girls under control, though we wished the show was earlier in the day we had a magnificent time. 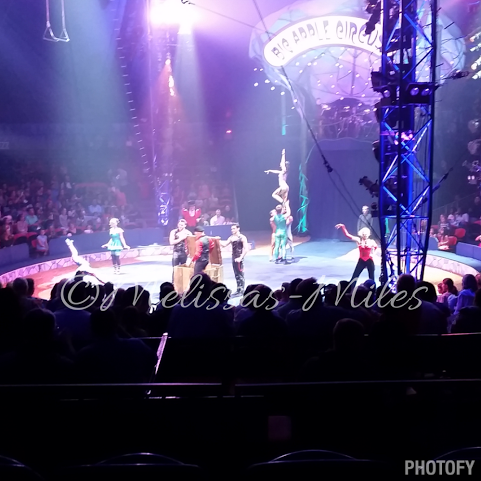 From watching the camels, horses and dogs, goats and pig to the brother’s foot work and the bubble performance I must say The Big Apple Circus is one that I would go back to. I felt as if we timed hopped back into the 1940’s (ok maybe later then that even.) entering the tent, wondering what it would have been like to have our entertainment be the circus coming to town rather than all these electronic devices that keep us cooped up in our homes. No longer playing outside for hours or a peaceful family conversation at dinner; but children and parents eyes glued to televisions, Iphone’s and Galaxy’s. This performance reminded me how much family time means to me, that the girls are only this young for a short period of time. We need to grasp every event, performance, and sport, along with outdoor outing that we can and make memories. 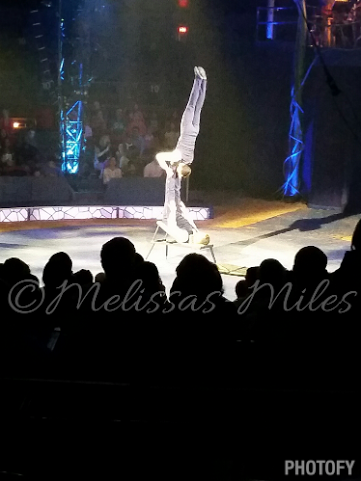 Thank you Big Apple Circus for putting the magic back into my eyes, my mind and my future. We will see you again soon. 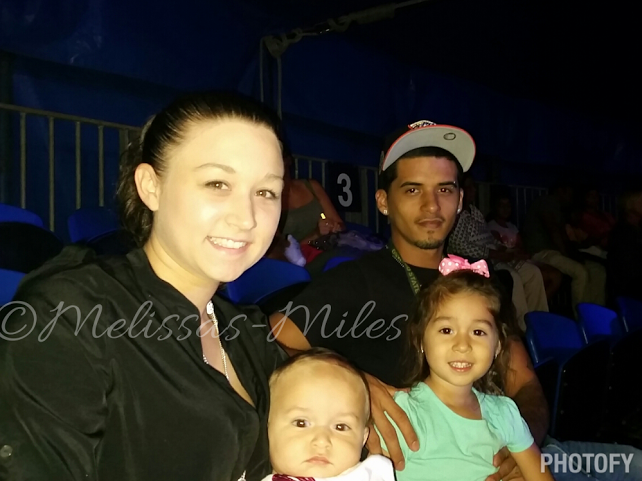 If you have ever been to the circus what is your favorite part? The Food or maybe the keep sakes? Or is it the performance itself, captivating your attention with every motion like The Big Apple Circus? Previous Post Teething Bling: She has her Bling do you?